Twenty first century electronic technical advances have created more reliable yet cost effective wireless security solutions than ever before. Most wireless security solutions are generally easy to install and simple to operate. In fact, they are often considered as do-it-yourself type projects and are specifically designed with that intention in mind. There are basically two types of wireless security solutions, wireless security alarm systems and wireless digital video security camera systems. Each takes advantage of up-to-date wireless technology to enhance the features of their systems. Let’s take a look at each and see what is currently available. As previously mentioned, one type of wireless security solution is the wireless security alarm system. There are two big advantages to using a wireless alarm system. First, the system itself is easy to install and operate. Second, aesthetically speaking, a wireless alarm is much more pleasing to the eye because it doesn’t require that a wire be run from each and every sensor to the master control panel. Wireless alarm systems can be used for just about any application anywhere. A basic residential alarm system typically has door and window sensors on any readily accessible door or window (usually those above the second floor are not armed with sensors due to their inaccessibility). In addition, the system may utilize one or more motion detectors as well. Each of these devices must communicate with the master control panel. They use this line of communication to tell the control panel that something has occurred (an event) and that their internal mechanism (usually some sort of switch) has been activated (triggered). Each sensor in an alarm system must have a separate transmitting wire that is run to the master control panel. Wireless security solutions for alarm systems eliminate the need for this wire. Instead, each sensor usually has its own on-board power (a battery) and transmitter in addition to the switching device that is used to detect an event. When a trigger activates the sensors switch, the transmitter is turned on and sends a signal to the master control panel to initiate the alarm. These sensors, including their batteries and transmitters can be quite small. The manufacturers take advantage of the latest electronic technology so the entire circuit to run the switching mechanism and transmit the signal can be created on an Integrated Circuit (IC) chip less than an inch in size. The other major type of wireless security solution is a wireless digital video security system. Technological advances in these systems has taken leaps and bounds, compared to the original, bulky, analog parent cameras. In addition, the with the advent of digital video, the digital video security camera industry has been able to reap the constantly improving benefits produced by the computer and cell phone industries as well. A typical digital video security camera system has three components. The camera or cameras capture video light images and transform them into electrical images. These images are part of a digital video file that is created by a Digital Signal Processor or DSP that accompanies the Digital Video Recorder unit or DVR. The digital file can be viewed live or at some later time on the monitor. There are basically two different types of wireless digital video security systems. Both systems involve using radio waves to send their signals wirelessly but each type uses a different technology. The first digital wireless security solution is the use of wireless digital video cameras. These cameras are no different than their “wired” counterparts accept they do not require a video transmission cable (usually RG-59 coaxial cable) to be run from each camera to the DVR unit. Instead, they send their data which is digital, in radio wave form either to a receiver that is connected to a DVR or to a wireless DVR that has a receiver built in. The second digital wireless security solution is the use of wireless digital video cameras call Internet Protocol or IP ready cameras. These cameras contain on-board circuitry to not only capture and create digital data, but to transmit it in the form of a file that can be sent long distances using the Internet as the vehicle for networking. These cameras usually contain their own web server technology and transmit using WiFi technology. So, as you can see there is a lot to talk about concerning wireless security solutions. 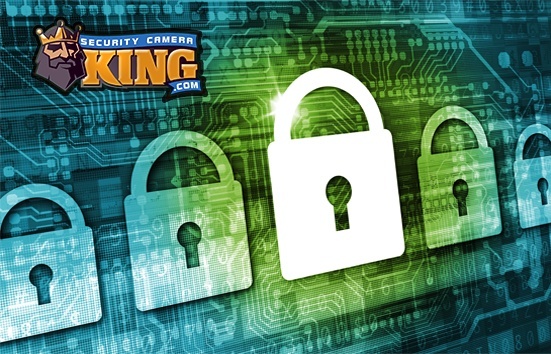 If you are interested in a specific technology, check Security Camera King’s CCTV Learning Center for more information.